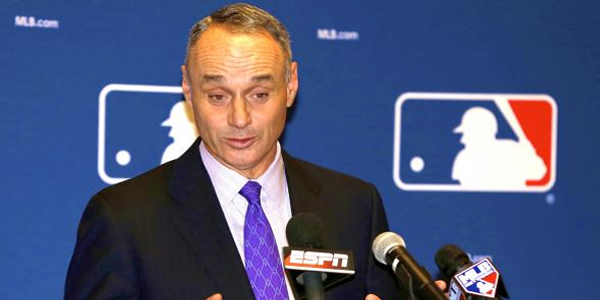 Great news may be coming for sportsbooks and fans alike, as the MLB Commissioner Rob Manfred is talking with the team owners on a controversial subject for some, sports betting. Manfred’s stance on this subject is quite open, as he is trying to get the rest of the MLB on board with legalized sports betting. He is not alone in the struggle to find the benefits and drawbacks of sports betting, as he is the second person voicing his ideas. The NBA Commissioner, Adam Silver, is also pushing towards an evaluation of how beneficial it could be to open up the NBA, MLB, or any other large sport to a legalized form of betting. There is a lot of controversy surrounding this subject due to the fact how in the past, certain players have taken advantage, like Pete Rose or the 1919 Chicago Black Sox. It is a good step towards at least looking at how to legalize sportsbooks in the US, and a way to monitor and regulate it. If Las Vegas has taught us anything, it is that there is a lot of money to be made from sports gambling. It is also another fun way to promote and expand the sport.